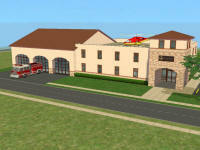 Modern, completely furnished, firehouse for up to 12 live-in firefighters. 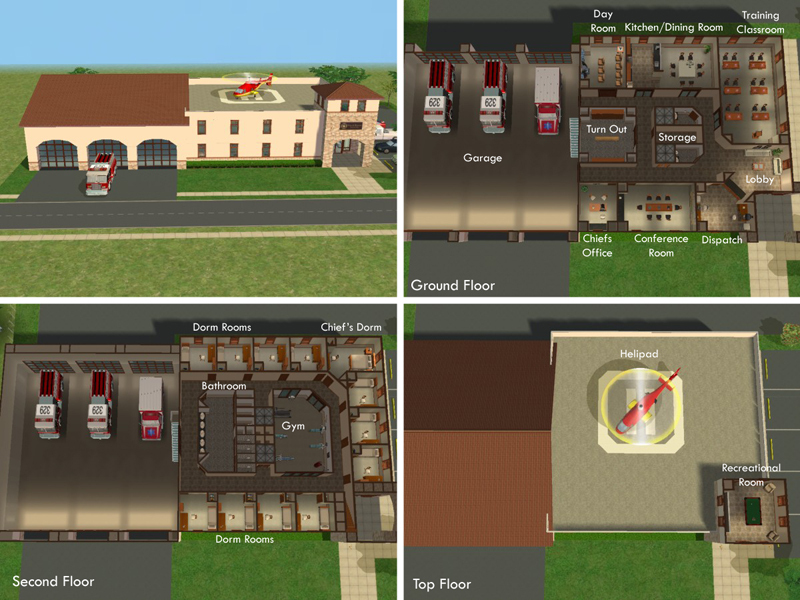 Based on floorplans of an actual station, the ground floor features a large garage for six fire/rescue vehicles, as well as a Training Classroom, Dispatch, Chief's Office, Turn Out, Storage Closet, Day Room, Kitchen & Dining Room. 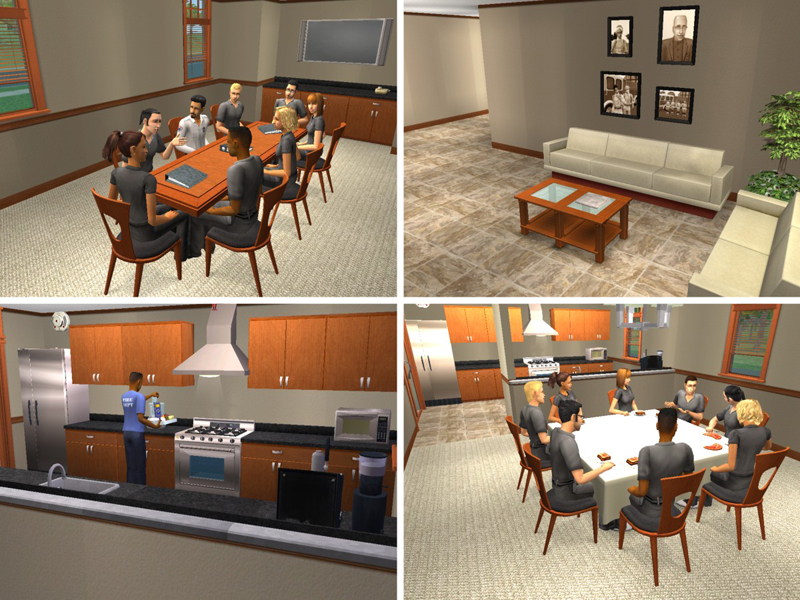 The Second Floor includes twelve Dorm Rooms, Communal Bathroom and Gym. Each dorm room is furnished with basic needs such as a twin bed, desk, closet and bookshelf. 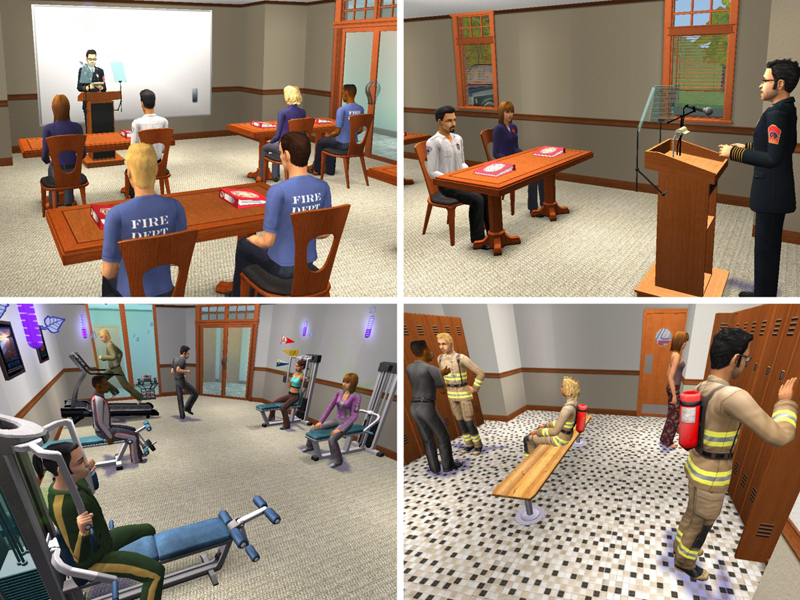 The Chief's Dorm is the largest room and has a double bed. 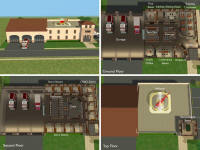 The roof level includes a Recreational Room and a Helipad. Note about the garage door: There are no actual garage doors used in the building. 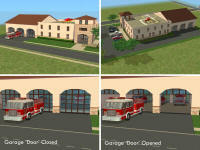 The residential doors in the game looked inappropriate (and not tall enough) for a fire station. So, the garage door effect has been created by using Tiggy027's Metro Windows. 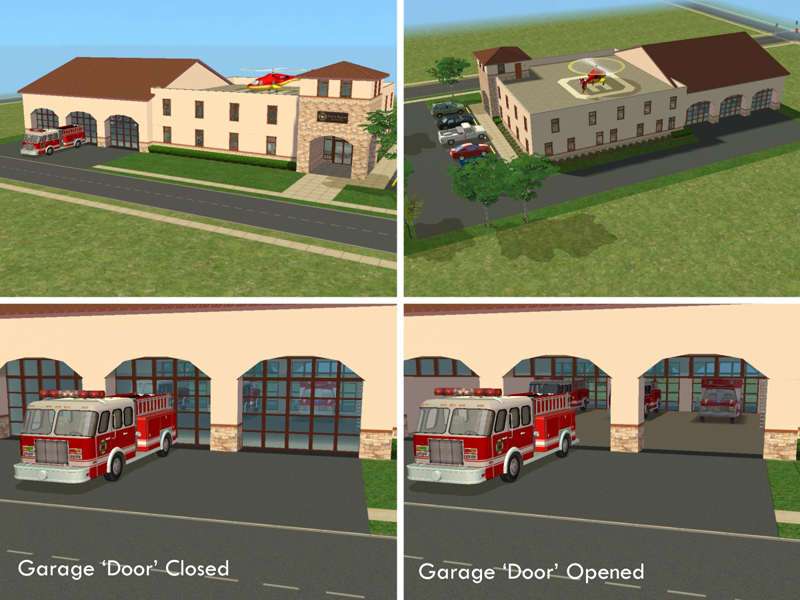 If you want to "open" the garage for the use of a driveable firetruck, just remove the ground-floor section of wall with the windows. Vehicles will be able to drive into the garage as normal. To "close" the garage just add the wall and windows back. Also, the five sideways parking spaces are invisible driveway sections so you can add off-duty vehicles for your firefighters.